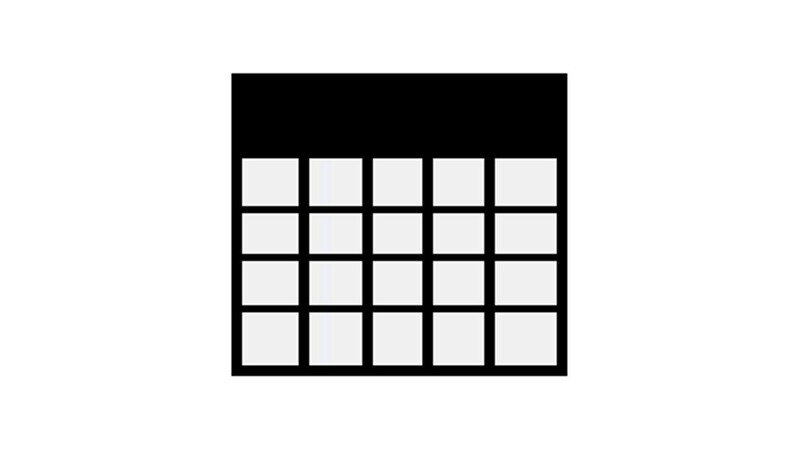 Allows to display combinations (variations) of a product as a table. 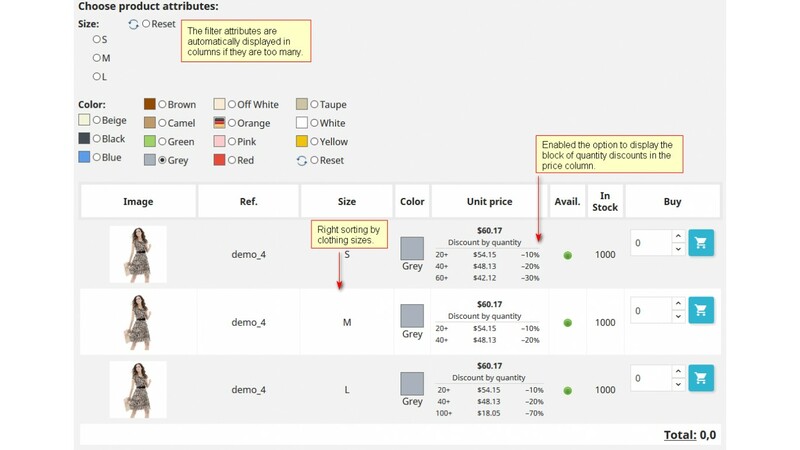 In so doing each column corresponds to an attribute (for example: color, size, material). The module also allows to filter combinations by attributes. 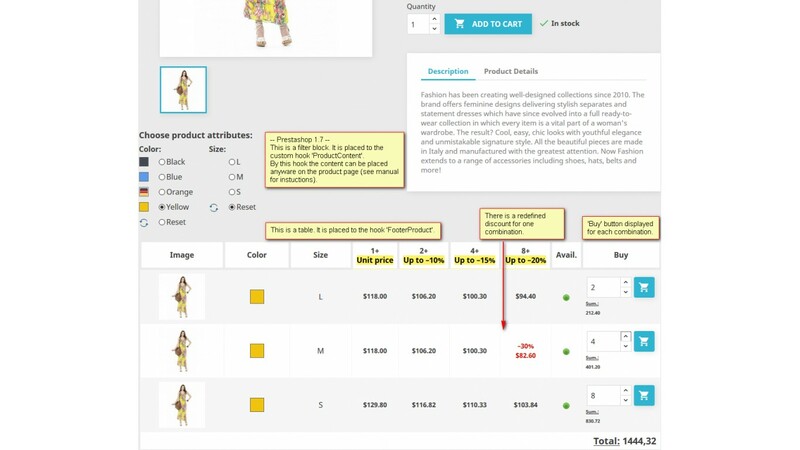 The table is displayed on the product page. 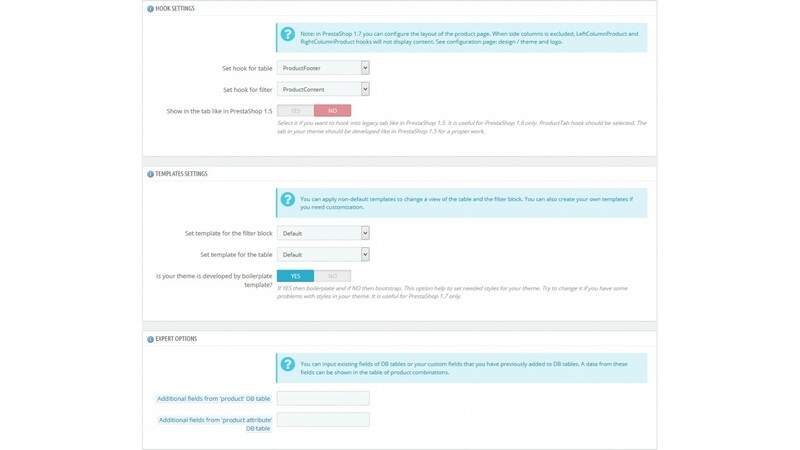 You may to apply different templates to the table and to the filter's block (templates management feature). The distribution includes three templates - two for the filter’s block and one for the table. It's possible to make a condition in a shop's theme for displaying a default block with combinations (or other blocks) when the table cannot be displayed (for example, disabled for a smartphones). 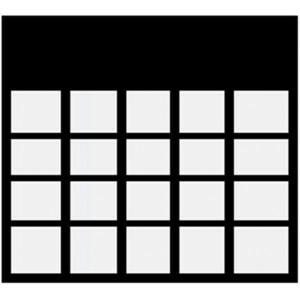 «Grid» template for the table. 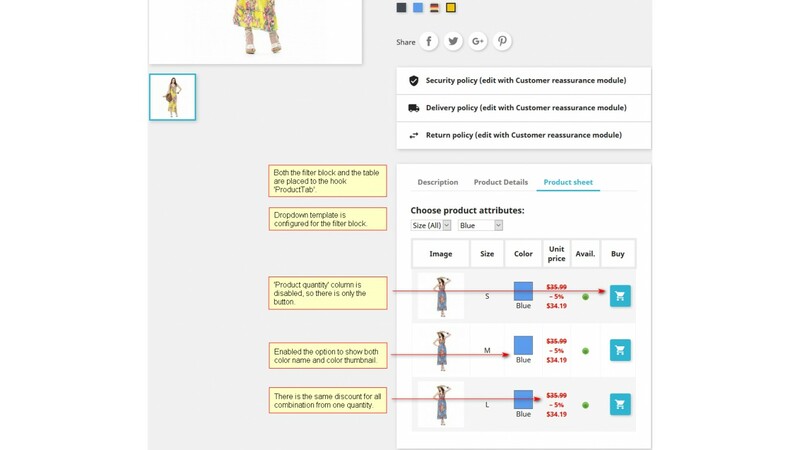 Website demo for PrestaShop 1.7 (v3.14). Website demo for PrestaShop 1.6 (v3.14). I have been a user of the module for 4 years, I want to congratulate you because the module was very useful for the site: www.stampaestampa.eu where it is integrated perfectly into the template and in the cart module with some graphic customizations of the table without any problem. Because the module apply the general sorting algorithm which is suitable for sorting most values (numeric and non-numeric). I am planning to improve sorting feature in the next releases (I already have some ideas). If you have concrete ideas, new options to add for sorting, tell me about it by the feedback form. Thank you for making this module. I'm having a problem sorting attributes by value. For example a 3(diameter) by10 (lenght) bolt is displayed before the 3x6 one. Please help. Are you asking about configuring the filter block for Dropdown list to choose attributes? You can choose this template in the module's settings. Check the screenshots and the demo. Please, ask exactly and clearly what you need! Use the link to contact with me via feedback, but not via the comment. is it possible with your module? The same rules are applied for all customers: maximum allowed web-shop domains are two (plus a one subdomain for a testing, i.e. three in total) for each copy of the module (see Terms and conditions of use). It is not translated to Persian language. You can do it yourself by the default translation tool of PrestaShop. Is there any limit to using this module on Iranian sites? and Does the module support Persian language? Yes, it is the same. But licenses is different. Learn the license of the Addons and the license if this marketplace. Hello, I'm interested in this module. Is this the same that I have seen on the ADDON shop of Prestashop at double of the price? The first point is not supported. 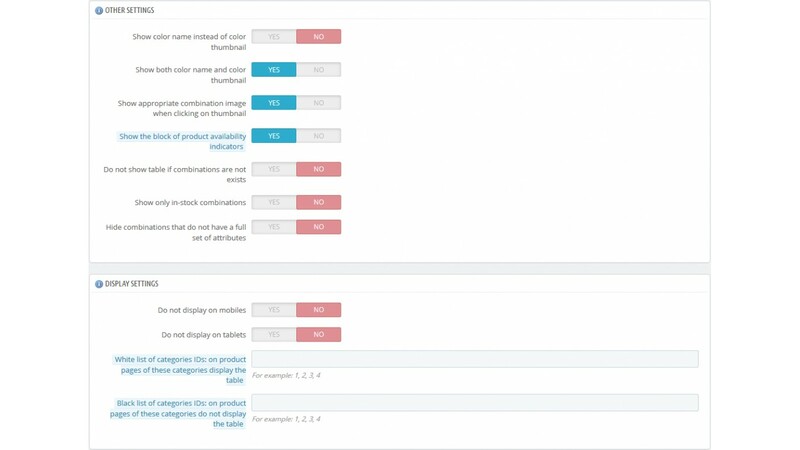 I don't understand why to add products features to the table. Yours 2-3 points is available now. For prestashop 1.6.1.16 can you adapt your module? 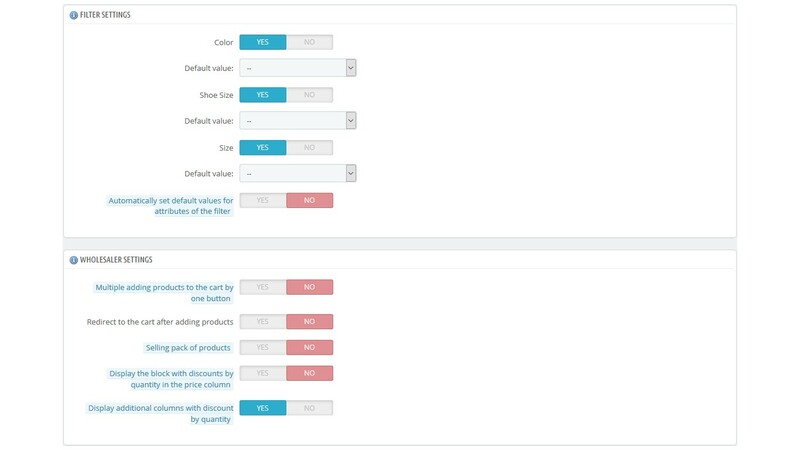 "One unit quantity price lowered by 0,00 €"
+ removed message about discount "One unit quantity price lowered by X €"
+ fixed problem with the table displaying in the product tab (PrestaShop 1.6). 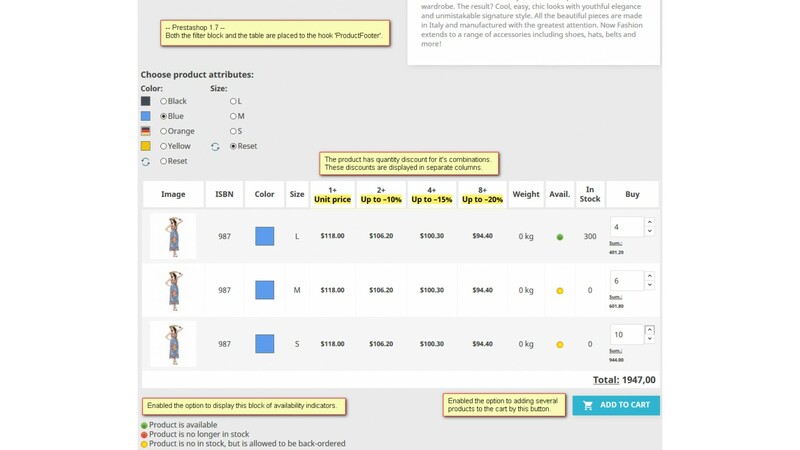 + added a new option to configure redirection after batch adding products. 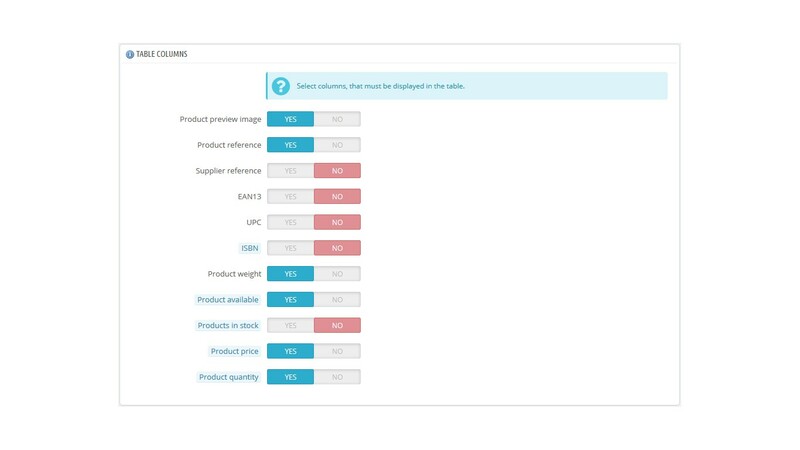 + improved server-side validation of product quantity when the module option "batch mode"
+ added the main image for a product without combinations; there was the image "No picture"